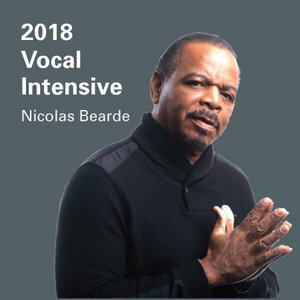 Jazz Vocalist Nicolas Bearde will be showcasing students from the 2018 Jazz Camp Vocal Intensive program, and performing songs from his vast repertoire of Originals and Jazz Standards. Groundbreaking vocalist Kid Beyond is back with a heavy slice of “future blues” — a full band combining blues/indie rock with future-bass electro. Like Howlin’ Wolf jamming with Kanye, Diplo, James Blake, and Rage Against the Machine. It’s soulful, shamanic, somatic music for turbulent times — fueled by his Buddhist and activist paths. Kid B is joined by Geoff McCann (Elephantine, Dogcatcher) on guitar; Kevin McCann (Elephantine, EagleWolfSnake) on bass, keyboards, electronics; and Hassan Hurd (The Coup) on drums. Kid Beyond’s pioneering live-looping work — multitracking his singing and beatboxing to create his own live backing tracks — has riveted hundreds of thousands of viewers around the world, at festivals such as Coachella, Treasure Island, SXSW, Wakarusa, Langerado, Lightning in a Bottle, Symbiosis, Burning Man, Ottawa Bluesfest, and w00tstock. He has shared the stage with James Brown, Ray Charles, Will.I.Am, Lupe Fiasco, Keane, Imogen Heap, Bassnectar, Run-DMC, LL Cool J, Widespread Panic, Michael Franti & Spearhead, Lyrics Born, Steve Aoki, Disco Biscuits, Amon Tobin, Buckethead, Glitch Mob, and Particle… and founded the legendary a cappella funk band The House Jacks.